It was a day like any other day really; I was at the airport, traveling on business and decided to stop by the newsstand to grab a magazine or two. I stood in front of the business section and scanned rows of glossy magazine covers, hoping a few would pop out at me. Suddenly, I was bumped by a guy on my right reaching for a Sports Illustrated Magazine and a guy on my left reaching for a Men’s Health Magazine. Both men apologized, and we all went along our busy way. It wasn’t until the same scenario happened again (once at a grocery store and the other at a bookstore) that I took a step back to pan the magazine aisle, and I finally saw the subtly of division within the aisle. On the right side of the magazine rack stood Women’s magazines which included fashion, cooking, parenting, health/fitness, bridal and every hobby imaginable that may be of interest to women. On the left side stood Men’s magazines which included sports, health/fitness, fashion, and every hobby that may be of interest to men. But what stood out to me was every business magazine was housed in the “Men’s section.” This prompted me to grab a few business magazines and inspect them from cover-to-cover. Just as I suspected, all the advertisements in the magazines were geared towards men. One particular ad was for a well-known computer company. The ad depicted a man on the airplane, wearing a blue suit, using a branded computer in front of him. Another one showed hair and coloring for men and another for fleet vehicles; you get the idea. It was then that I realized that I enjoyed my women’s magazines just as much for the advertising nearly as much as the content. The reason I could complete a business magazine on a plane was because my focus was on the articles only. However, women’s magazine had ads about new products, helpful services AND content that piqued my interest. I decided to put my theory to the test. I shared my idea with my sister and two friends; they loved the concept. From there, we decided to create a blog that featured business articles and other helpful resources for women in business. Next, I reached out to female executives and entrepreneurs to see if a magazine of this magnitude could be embraced. 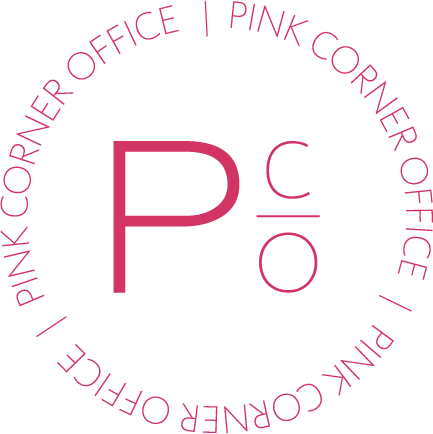 The result: Over 10,000 women, located in every state in the nation, signed up and PINK Corner Office Magazine was born!